Posted on: October 22, 2018 By: Christopher Brown, Esq. The Fair Labor Standards Act of 1938 created the rights to a minimum wage and “time-and-a-half” overtime pay for when a person works over forty hours in a week. The act was created to ensure that if you work for an hour, you get paid for an hour. One of the most common ways that employers cheat their employees is by claiming they are exempt when they are not. This is illegal and a violation of your rights, which means you have the ground to pursue a lawsuit. The Act applies to full-time and part-time workers in the private sector, and in federal, state, and local governments. Not only did the act create rights, but it also prohibited most employment of minors in “oppressive child labor”. This included setting regulations about the age children can work at, as well as regulating the types of jobs and working conditions they can work in. Unless an employer can claim an exemption from coverage, the Act applies to employees engaged in interstate commerce or employed by an enterprise engaged in commerce or in the production of a good for a commerce. When it comes to the FLSA, one of the most complex parts of the law is figuring out whether or not the Act applies to an employee. If the Act does not apply to someone, they are known as exempt. One of the most common types of workplace fraud is when an employer claims that an employee is exempt when they really are not. You should be aware of whether or not you are an exempt or non-exempt employee. 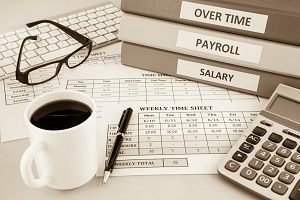 Exempt employees are not entitled to overtime pay. It is at the employer’s discretion whether or not they receive overtime. To be considered an exempt employee, you must be paid a salary and must perform executive, administrative or professional duties. These categories are purposefully broad to encompass different types of jobs. This means, that an employee’s status of being exempt or non-exempt comes down to the tasks they perform, rather than their job title alone. Because the definition of an exempt worker is so broad, many people (like independent contractors or salary workers) are surprised to learn that they are actually non-exempt, and are therefore entitled to overtime pay. The FLSA entitles non-exempt employees to overtime pay. They must be paid the federal minimum wage, and for the time they work over the standard 40 hours, they must be paid at least time-and-a-half. If you have any questions about your status of being an exempt or non-exempt employee, reach out to an Employment Law Defense Attorney for more information. The Fair Labor Standards Act was originally drafted by Senator Hugo Black in 1938. It originally proposed that employers adopt a thirty-hour work week, however, this met a lot of resistance. It was eventually revised and passed, establishing an eight-hour day and a forty-hour workweek. For any work that exceeded the forty-hours, the employee would have to be paid overtime. It also prohibited children under eighteen from doing certain dangerous jobs, and it prohibited that children under the age of sixteen from working during school hours. At the time, the Act affected 700,000 workers. President Roosevelt called it the most important piece of the New Deal legislation since the Social Security Act of 1935. Since then, FLSA has gone through many changes and amendments. Most recently, President Obama signed a presidential memorandum directing the Department of Labor to update the regulations of which white-collar workers are protected under the Act in 2016. In May 2016, the Department of Labor announced that were expanding overtime regulations to make millions of Americans eligible. This states that employees making less than $913 a week must be paid overtime. However, a United States District judge imposed an injunction on this which has temporarily stopped the rule’s enforcement nationwide, while they determine whether the Department of Labor had the authority to issue the regulation. If you FLSA rights have been violated and you have not been properly compensated for overtime work, you should reach out to an Employment Law Defense Attorney. They will take a look at your potential case and inform you whether or not you have the grounds for a lawsuit. If you do, they will assist you throughout the whole process to ensure that you win your case. They can help you build your case, collect evidence, and will represent you as the case moves forward against your employer. In cases where overtime paid wrongfully denied, the wronged employee can usually expect to receive their unpaid back overtime if they win the case. 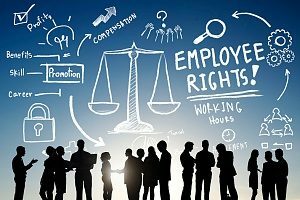 Understanding whether your employment allows you to be exempt or non-exempt is very important, so if you have any doubts don’t hesitate to reach out to an Employment Law Defense Attorney.